Since UFC 227, there hasn’t been a whole lot going on atop the UFC’s stacked bantamweight division. But that looks to be changing very soon. With the recent announcements of Dominick Cruz’ return at UFC 233 vs John Lineker along with champion TJ Dillashaw going down to challenge for Henry Cejudo’s flyweight title, the division remains feeling held up. 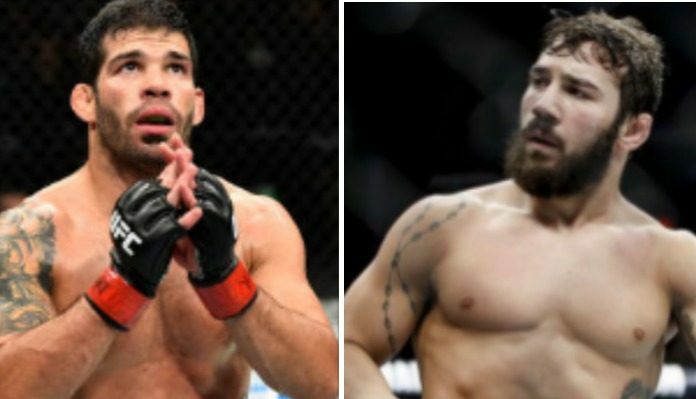 But the top contenders need to stay active, and that’s just what Jimmie Rivera and Raphael Assuncao plan to do as the two have agreed to fight according to Rivera. While @Cody_Nolove is pouting, my team has spoken with @RaphaAssuncao manager and the @ufc . We both agreed to fight and are waiting on the paperwork to sign to put on a show for the fans. The No. 5 ranked 135-pound contender in Rivera has been pursuing a fight with the former champion Cody Garbrandt for quite some time now, and it looks like he’ll have to keep waiting for it. For Rivera, his last bout took place at UFC 228 when he defeated John Dodson by unanimous decision to rebound off of his first loss in 10 years. Yeah, you read that right. Assuncao, on the other hand, has been having to win his way through essentially the entire top 15 to earn himself a title shot as he’s gone 11-1 since dropping down to bantamweight in 2011 with his lone loss coming to Dillashaw who he is 1-1 with. Assuming that these two do end up fighting, one would have to imagine that a win or Assuncao would finally lead him to that ever so elusive title shot that he’s been searching for.